oh adele. i hear you. yesterday was a big day - we had parent teacher conferences for both abbie and mac and we were walking on sunshine-snowflakes when we left the buildings together. chris and i have never felt like more of team. 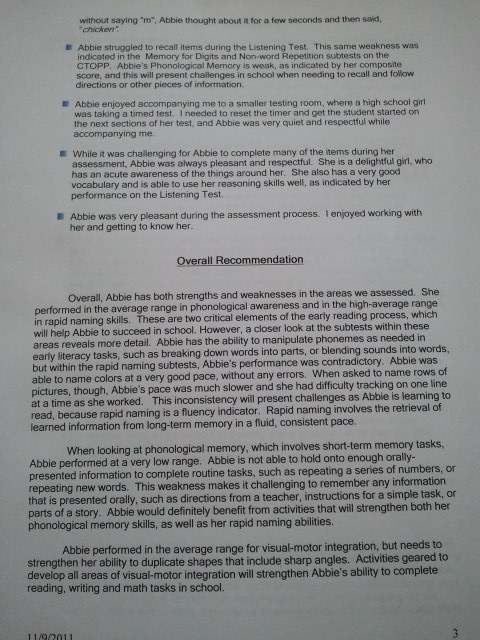 so without further ado, here are the data snapshots of abbie's progress from kindergarten thru today, beginning with the school's kindergarten screening report from a year ago. 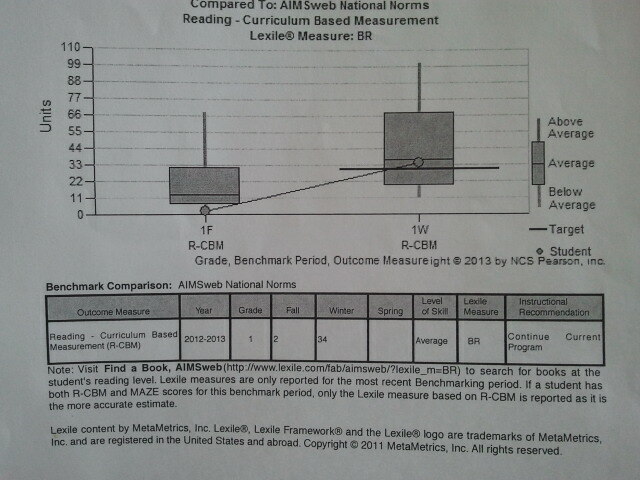 "For abbie, these scores may be slightly elevated because the youngest age on which this instrument (CTRS-3 or CPRS-3) has been normed is six years old. Abbie is currently five years, seven months old. 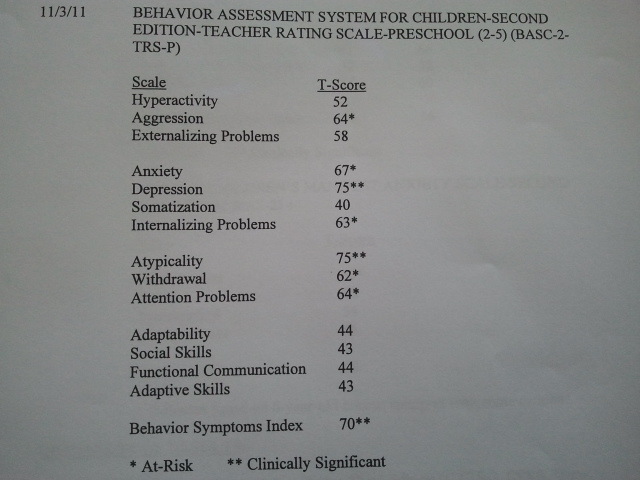 However, even thought T-scores are slightly elevated, they still reflect an at-rist or clinically significan level of concern." ehhhh, perhaps she'll grow out of this...i kept telling myself. 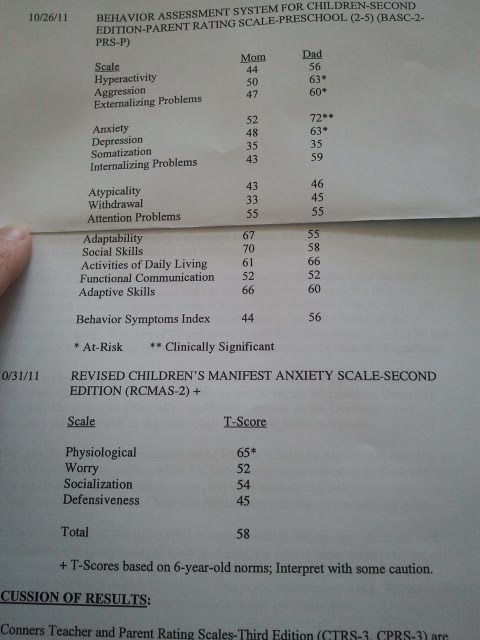 soon after this report, we decided to have her independently screened. 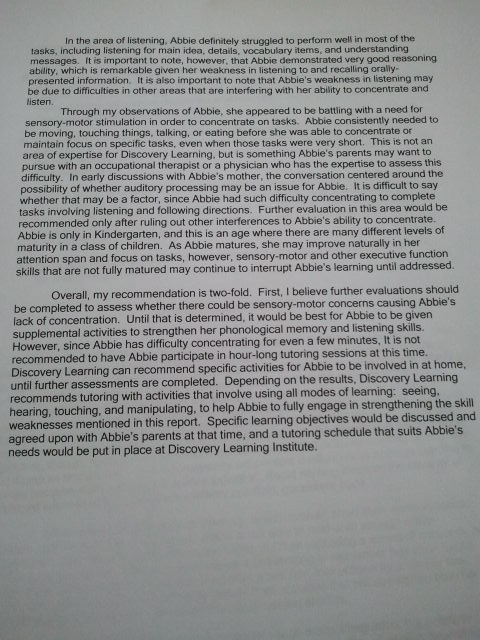 i knew that she had some sensory processing issues and i wanted to see if we could tease out any specific issues and get her some tutoring to catch her up. 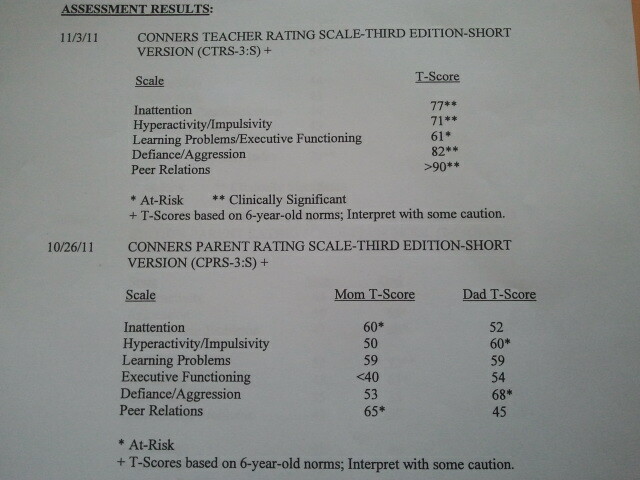 well then, something was definitely amiss...i knew for sure she had auditory processing issues and was very alarmed to know she couldn't even finish some of the tests with a one on one teacher. i began to work with her as much as i could at home (which was a h.u.g.e. struggle). 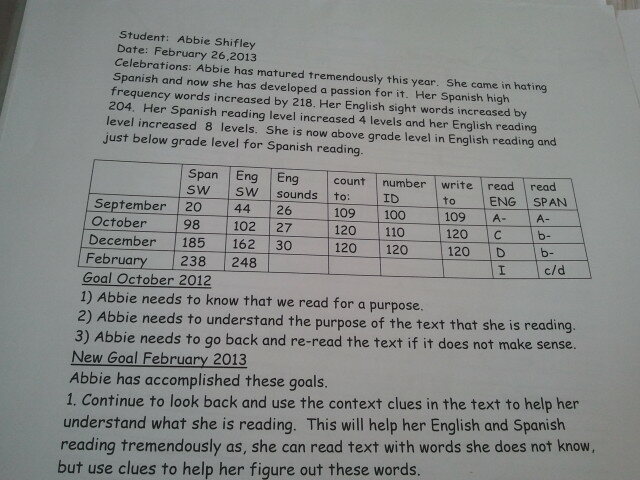 we put her in summer school. 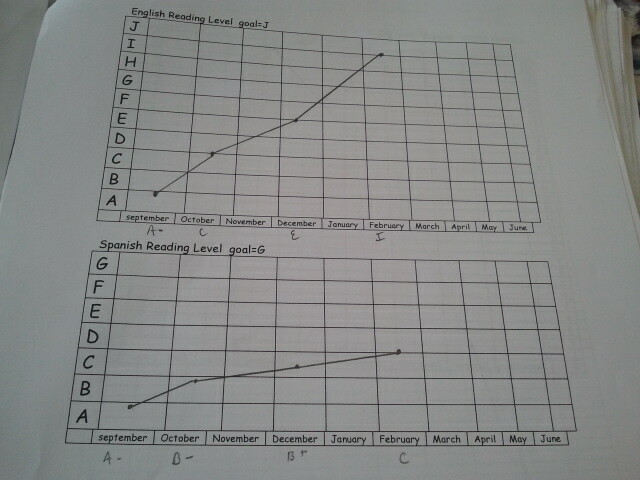 she ended 6 weeks of summer school with no improvement. and now....ready for some tinglies? fast forward to today, por favor. here is abbie's current data, compiled (with huge thanks!!!) 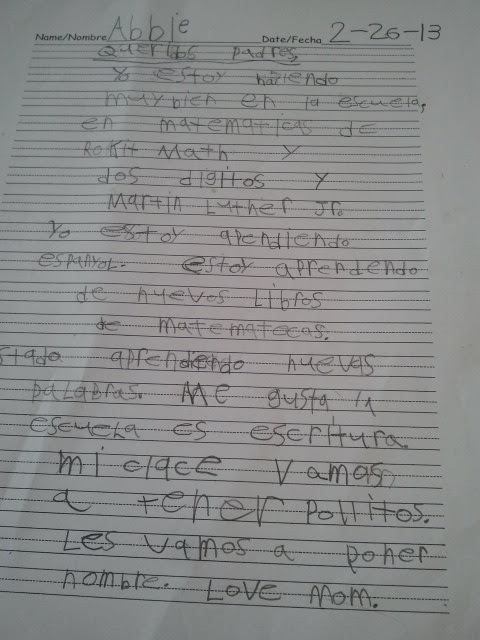 by her classroom teacher and reading resource teachers. 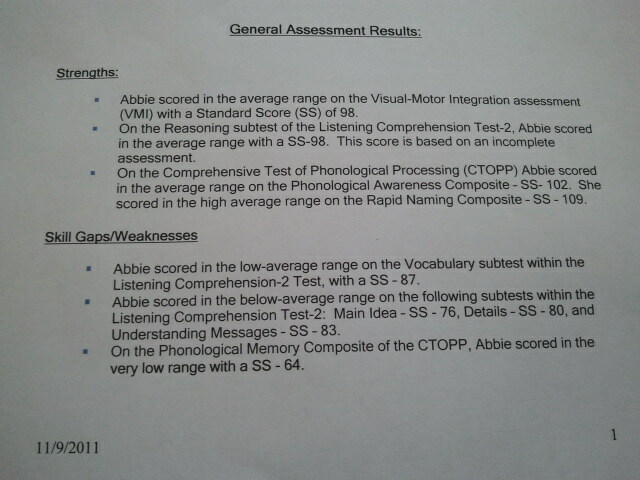 Report card: Abbie now meets or exceeds standards in all areas except for handwriting...we'll be on that!!! pretty fun what a food change did for miss abbie. and in case you missed it, here is the link to my recap of days 1-95: adhd eat my dust. i'll never forget in a million years. in the mullies we are. what is the mullies you ask? 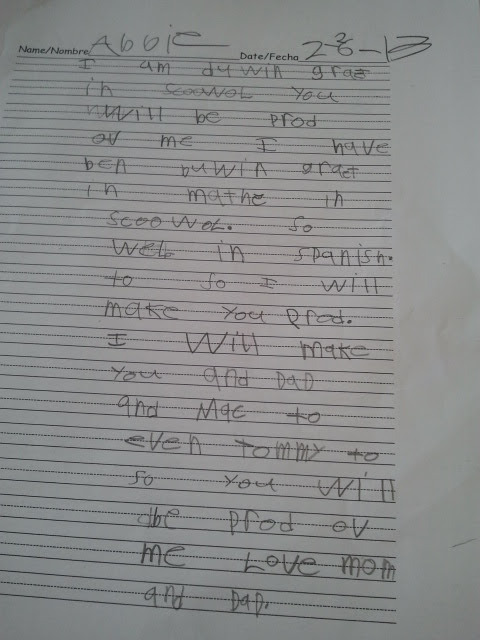 here's to making it up as we go...to the ends of the earth for food love. 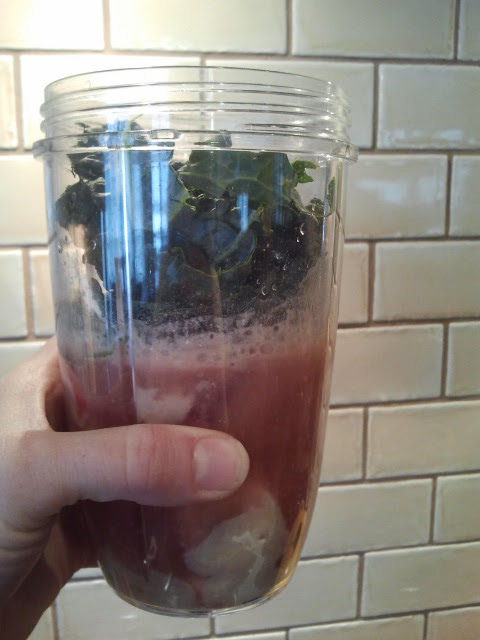 for the first time, i successfully snuck kale into the morning smoothie...boooo-yaaaaaaaaa!!! a food revolution hangout LIVE! come hangout with us at the food revolution google hangout tomorrow (or today depending on when and where you are reading this post! ), wednesday feb 27th at 10am central chicago time!! the green link above will take you to the hangout website where it will broadcast live and become available later for you to watch over and over and over....hahaha...oh boy. here's to keeping our new year's resolutions going strong all year long! check out a quickie video to get you acclimated with the legendary dr. walter willet and why he believes in a food revolution: do you have any healthy living questions for him? don't be shy...go here and ask away! and here is last year's food revolution day hangout! enjoy and catch ya'll tomorrow...er today!! aren't they pretty!?! i love that they are made of natural stone. and as i use them, the stone's patina will evolve to look even more lovely. i want stains!!! i want usage...i want history...i want to hand these puppies down to my kids... thank heavens i won't have to deal with pealing, non-stick surfaces anymore - that was just disgusting. no wonder my belly feels better after i took it out. here's my real deal: we cheat a little from time to time...even abbie had a slice of gluten pizza recently (oops), and a few meatballs with gluten on another night with no lasting effects. i have some too on rare occasion - that is good news (i mean hello, a girl's gots to have her guinness). but certainly, this revelation will not have me going: whoo hoo, we can have gluten 100% again! naahh & eehh. just not a fan anymore. we feel better without it as our whole grains staple. i found something better. 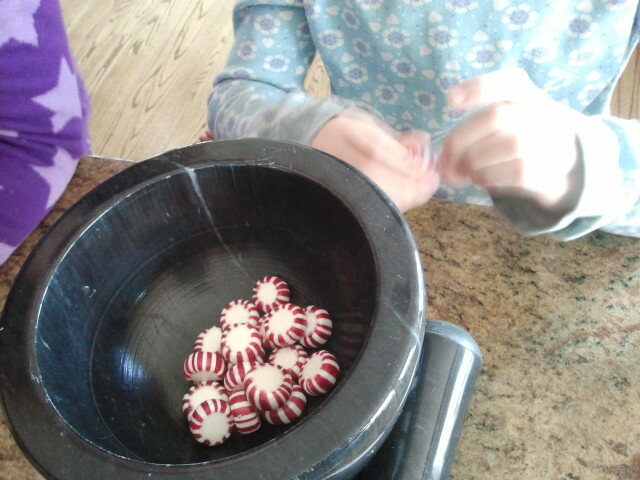 as abbie gets older and more independent, i'm sure she'll experiment with eating differently. 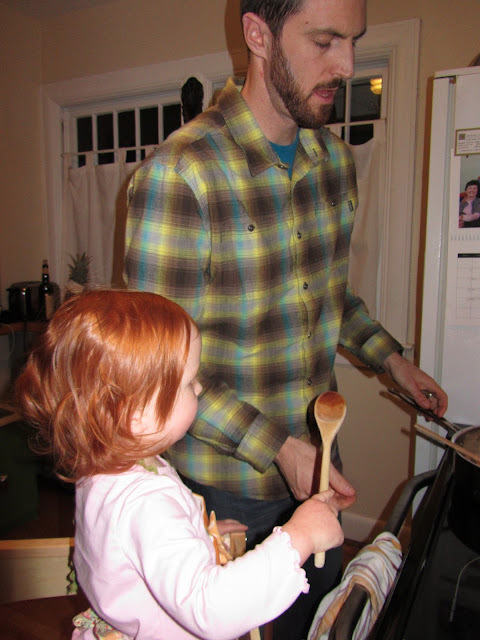 my goal: to give my kids (and hubby) the awareness and education to become clean & confident foodies who know how to cook and who won't go crazy when they leave my nest. (and chris, don't you go calling it a nagging nest now mister...) you love it. hahahaha. 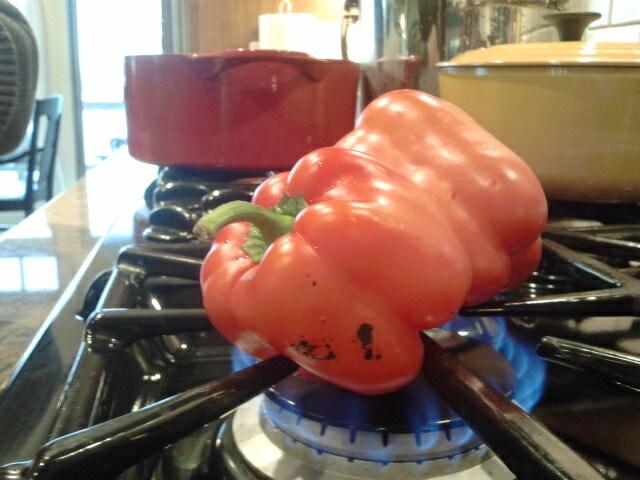 food perfection is unattainable (if imposed by another) and breeds rebellion=note to mommy dearests. 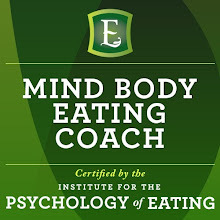 so instead, we just focus on eating as much real food as we can, and that is that. i have found something better. 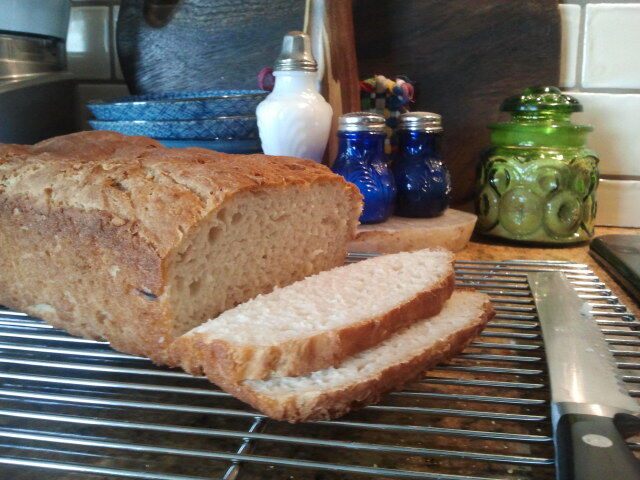 i'm still amazed i can make a gluten free loaf of bread all by myself. i never ever thought i'd have the gumption to do this. 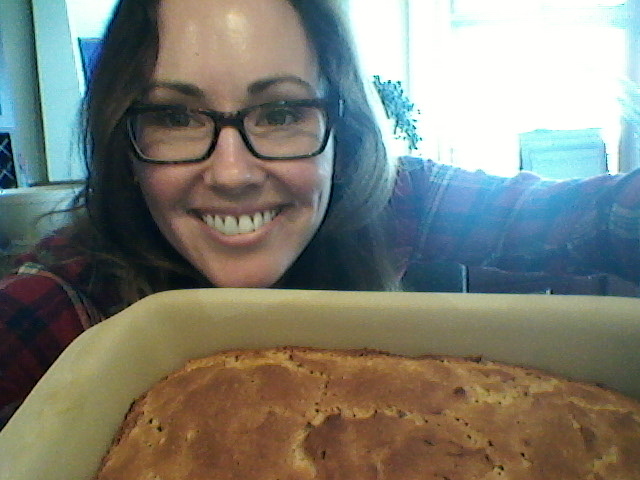 i'm going to make some more today and see how long it will last me for school lunch sandwiches and breakfast toast. 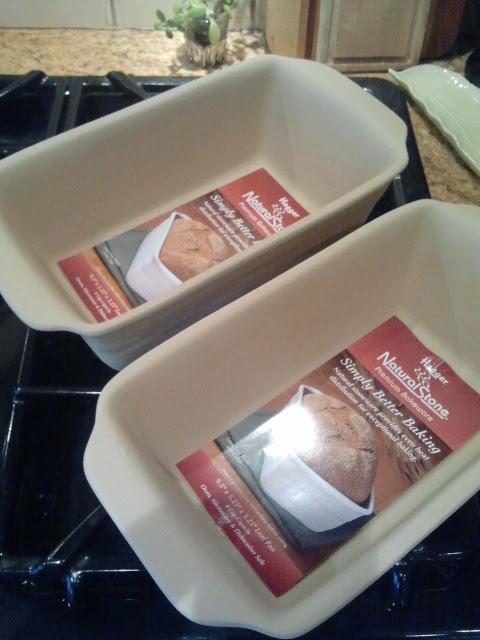 depending how thick i slice it, two loaves should get me through a full week foh shoh...i'll let you know how it goes. my hot mama girlfriend/neighbor laura has decided to give gluten free a whirl to see if it will help her family too (oh boy oh boy) - she has already taken out artificial color, preservative and additives...so here we go!!! 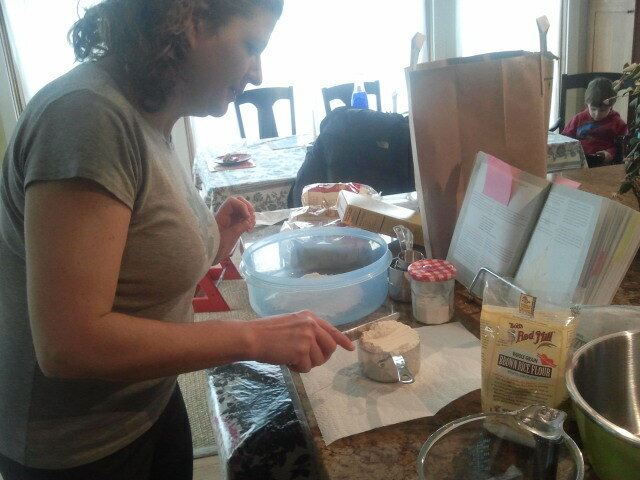 ...she came over last friday with all of her new flours and we put her first quadruple batch together! no need to make the same mistakes that i did, so i explained all the tricks. the most important tip? 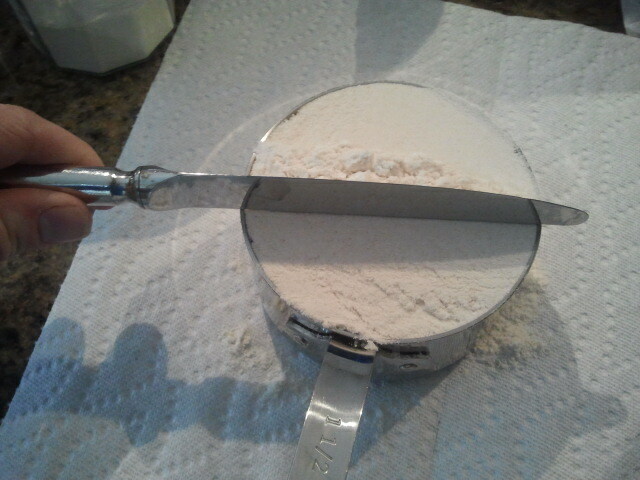 #1 how to measure flour correctly: i spoon it in, do not tap or pack and use the back edge of my knife to level it off. easy peasy. 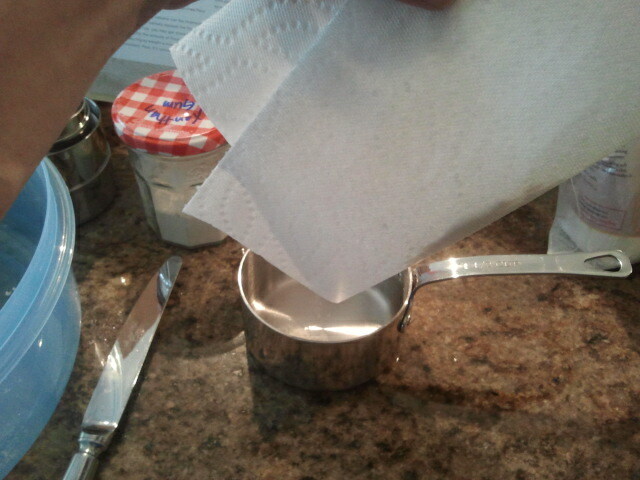 #2 use a paper towel under the cups as i measure. 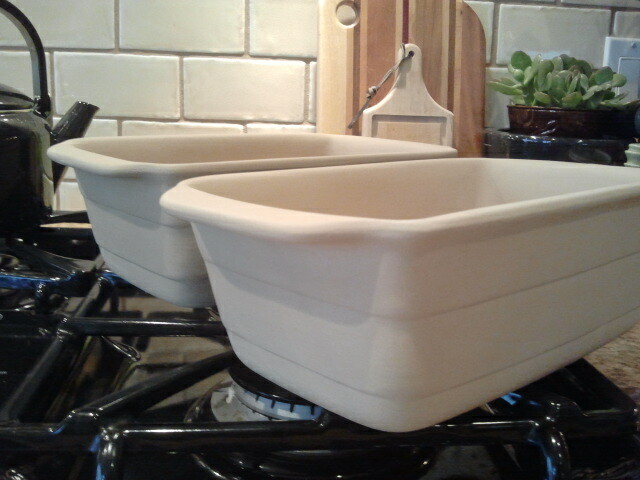 i shake and bake the access back into the bag or measuring cup (cuz this flour is like gold). 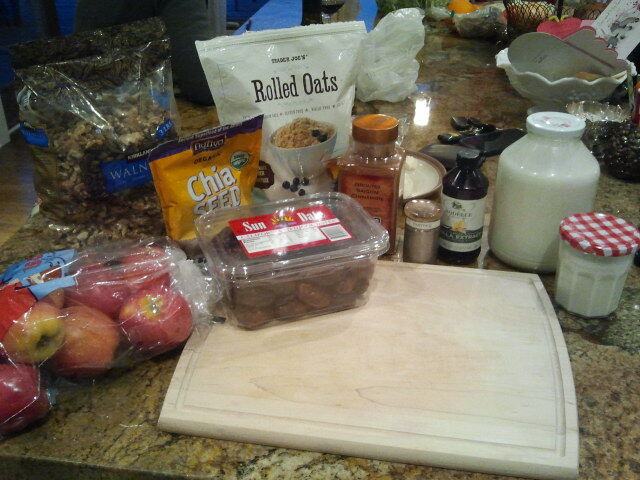 do i get some cross contamination?...probably...but who cares cuz i'm just gonna make another batch!! 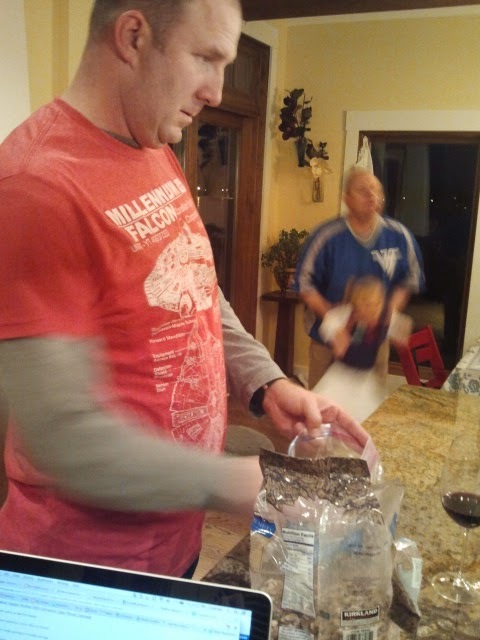 it also helps with the mess: the first few times i mixed up a batch, it was like a flour bomb went off. kapoowwww! cough cough. 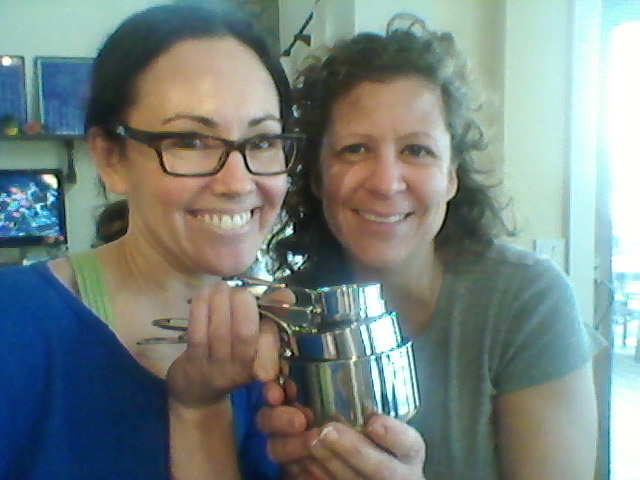 she and her hot hubby oliver made crepes this weekend with the new flour. and of course, with spectacular results:) hubba hubba. you and me, let's fly laura!!! say what? let's get started and don't forget to clap your hands. 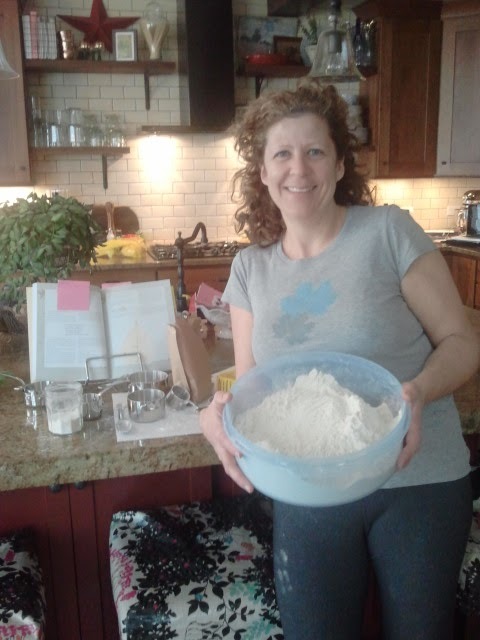 #2. i've been invited to participate in a new year's resolution hangout with the food revolution next wednesday, the 27th at 10am central time and i'm just dancing on the ceiling about it. WHAT!? we hope you can come and join us. don't hold back...post some questions for dr. walter willet and get down with us at a food revolution google hangout. it will be taped and aired as a youtube video later, so don't get your skivvies in a bunch if you can't make it to the party on time. so turn on the lights, this crowd is going to have a ball with a live discussion about real food and our new year's resolutions! #3. hello & welcome to my childhood with my sister...making up dances in our living room and changing clothes about a bazillion times to get our music video just right. my dad playing the piano. this song was one of our first cd's (seriously... cd's had just come out) and it was on loop with madonna's material girl (our only other cd). we started screaming into the phone..."OMG, you're making it TOOOOO!!?!?! WHAAAATTTTT!!?!??? blahblhahahlhlhalhlahhbbbhahllhaaaaa!!!!!!" dancing on the ceiling. the psychic link has been restored. the only difference? we're 1000 miles apart and we don't have to go round and round and make the other person change outfits. what a feelin!! 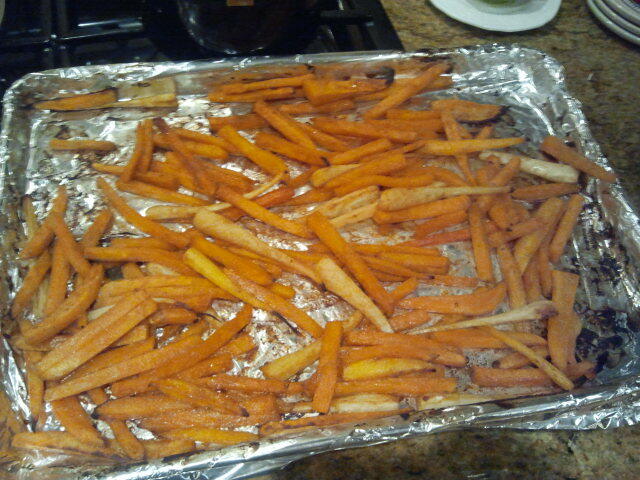 -i used apple cider vinegar & very little red pepper. 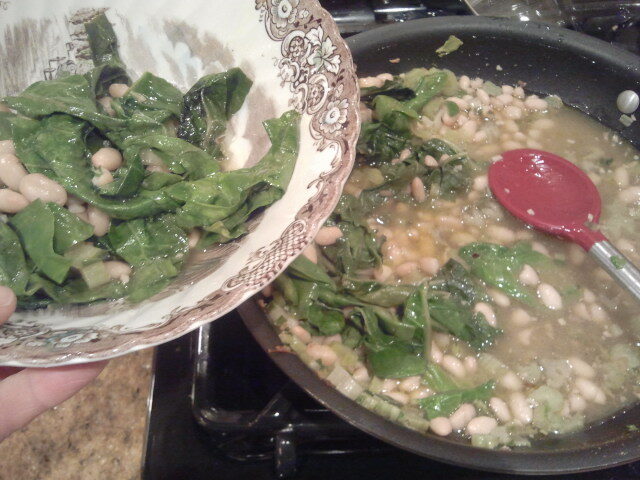 -skip to the kale and beans part - we didn't do the chicken. -as for the kale - use a "zipper" method to get the leaves off the stems - pinch your two fingers down the length of the stem - ziiiiiip! -use more chicken broth than called for it there is not enough sauce. 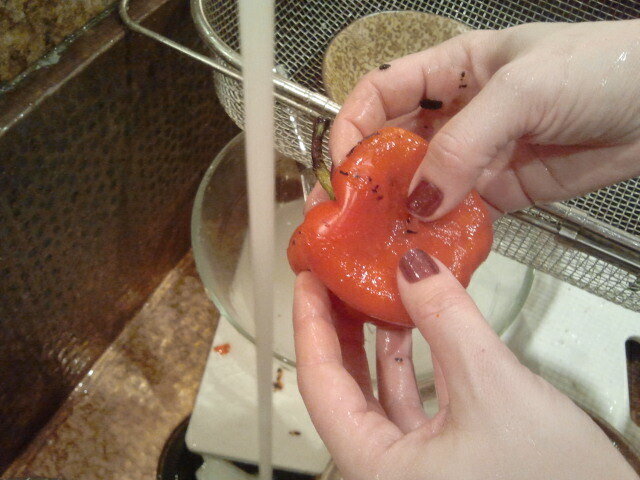 -we used sriracha sauce for the spicy bit. -lindsey, next time i'll change the following due to your recipe: add garlic, use red pepper flakes and add some of that vinegar. Mmmmmmm. so my hot heppsters, how in the world did you get her to eat like this!?!? my kids are getting better everyday... so come on, give us your magic please (and we'll try not to be tooooo jealous) so we can get our music right, it's really all we want to do. We just love our little eater. Don't be fooled though, she does get picky sometimes. She'll push her plate away after two bites some days and say, "done!" She will ask for more, more, more servings of the bread or pasta...and only the bread or pasta. What we do at those times is a lengthier post, but basically, we don't make a big deal about the first situation (because she won't starve) and as for the second, more bread/pasta only if she eats a lot more of the other items on her plate or just a simple, "No, sorry that's all you get!" (Cue the whining). Always fruit for dessert. 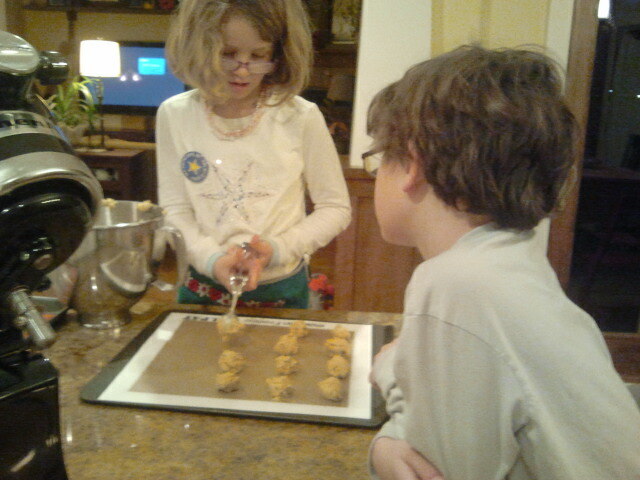 This poor girl barely knows what a cookie is. 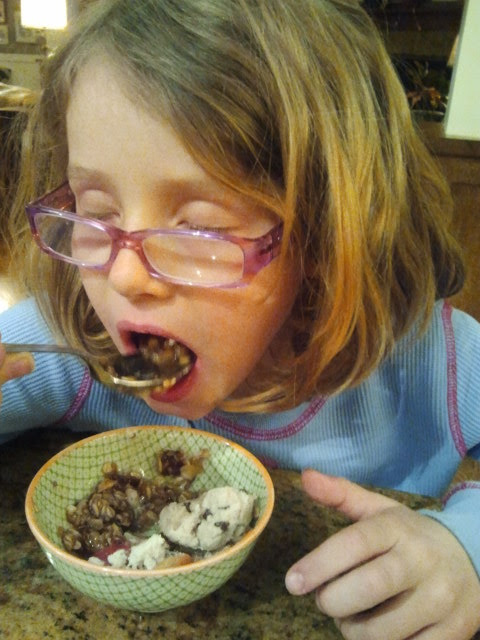 Though the very few times she's had one it has been hard to teach the rule of moderation. Sugar! Argh! So delicious! and speaking of cookies...hee hee...turn upside down!!!!! 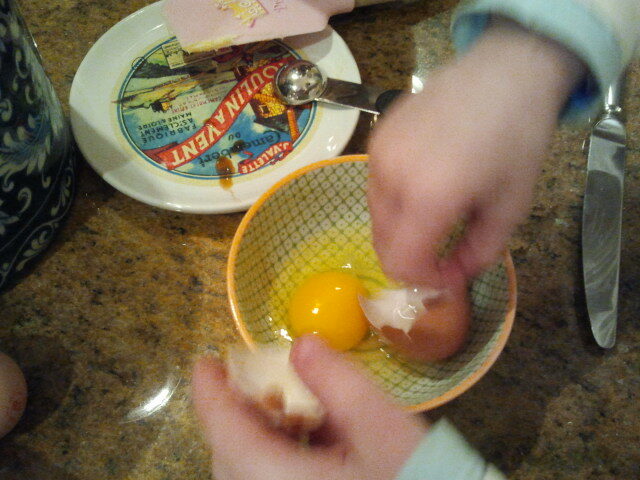 teaching how to crack an egg!!! 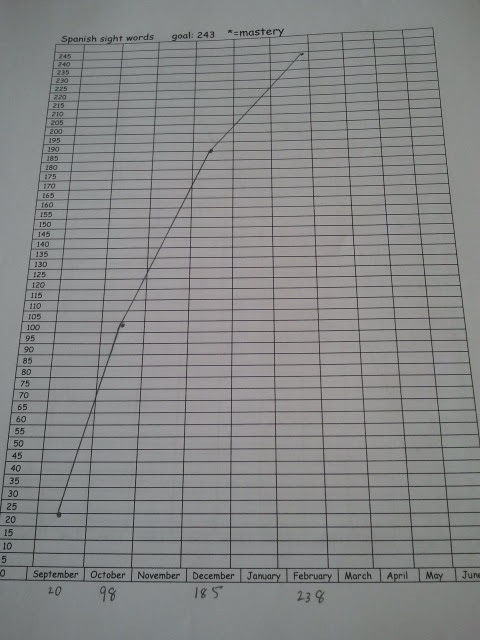 for one super hot data post on abbie next week...i mean, this one will be the epitome of dancing on the ceiling. 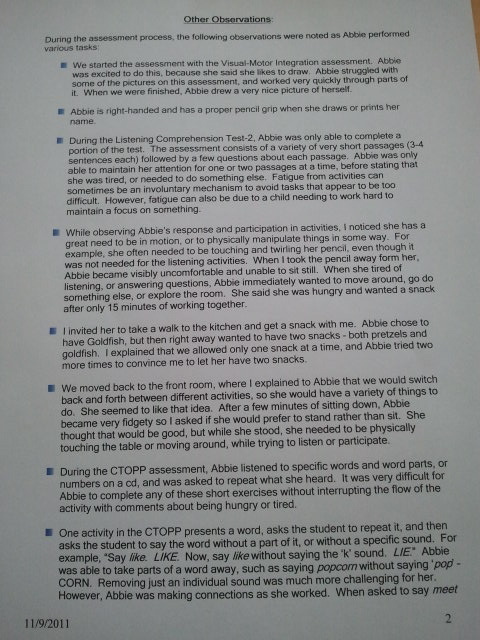 it's the ONE we've all been waiting for: a pre to post school data analysis of abbie's food change. so get your pocket protectors ready. what a feelin that will be. 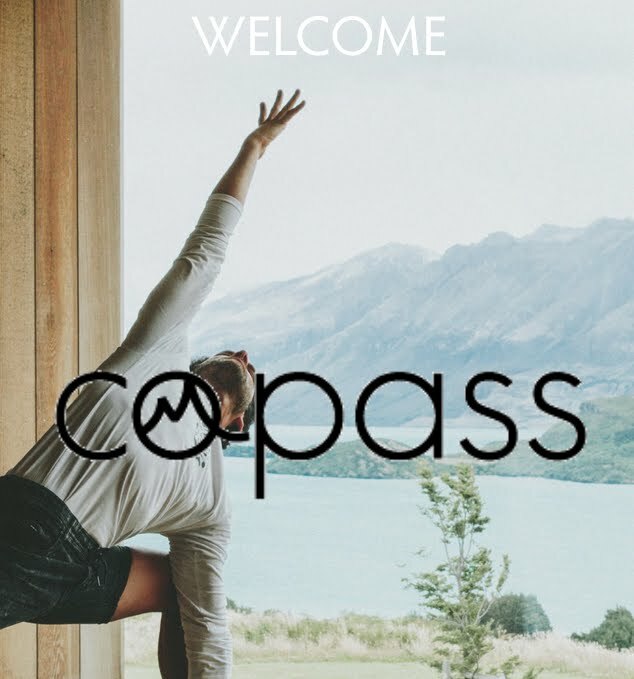 are you ready for this!? i don't think you are. 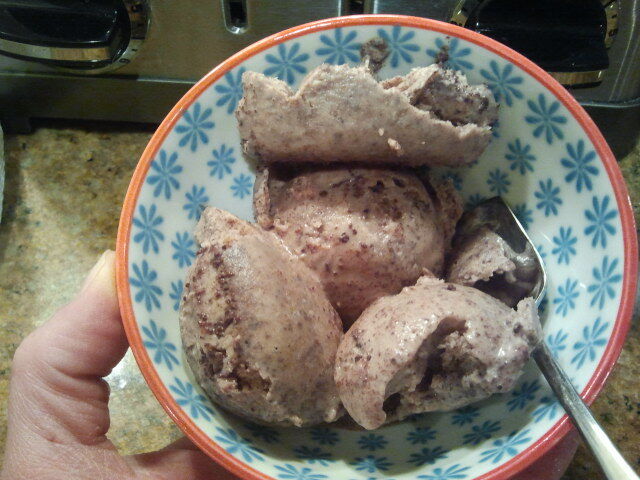 i'm super excited about this ice cream recipe. here is the original recipe inspo here. i have that written in my little cooking journal. do you have a cooking journal? i write in pencil and i love it so...all my notes, recipe tweaks...i paste things into it too...it's fun watching it grow. i have since added tons of notes with mullies magic (it's gettin more powerful these days)...must be all that harry potter watching and reading with mac. additive, artificial color and dairy free!!! 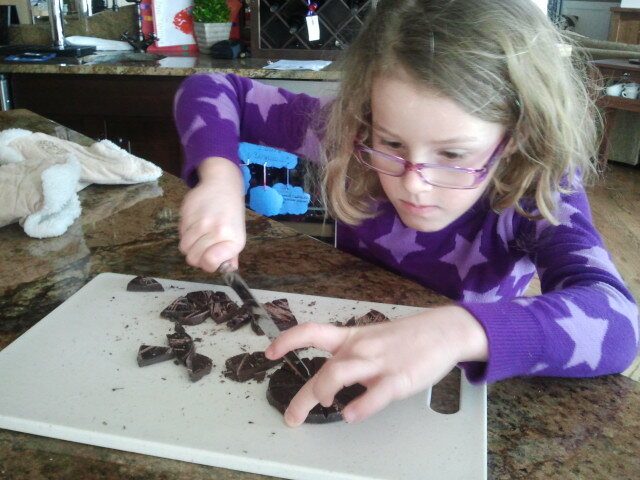 3 discs of the trader joe's organic stone ground extra dark chocolate (i think any dark, stone ground type would work here) (pulsed in a food processor till pieces resembled small chocolate chips). 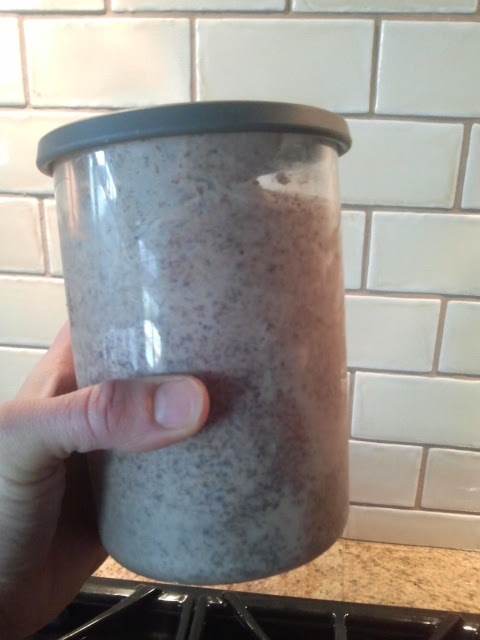 dump it all in a blender, give it a whirl. 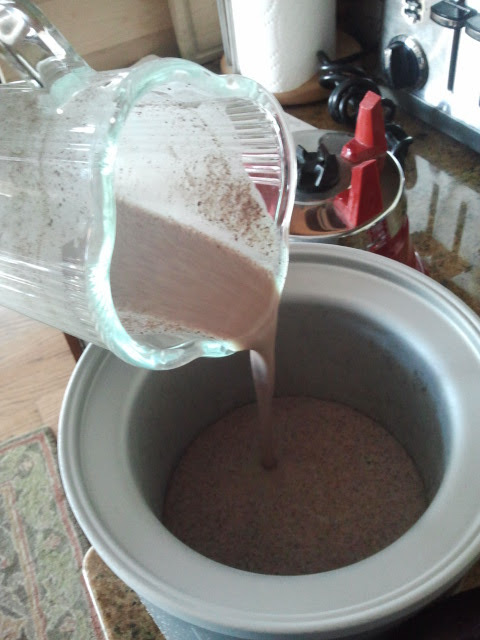 transfer it to your ice cream maker and mix for 25 minutes. 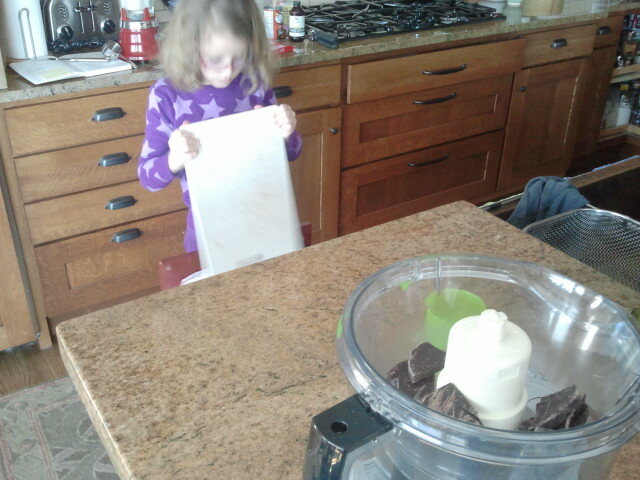 abbie is cleaning up all by herself here...i was so surprised i took a pic. 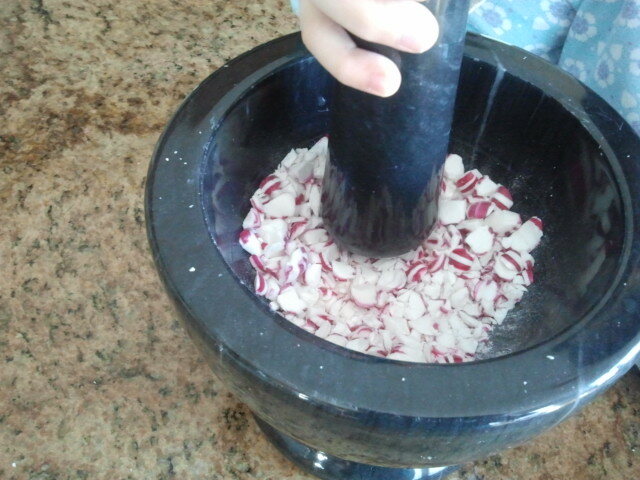 i got this mortar and pestle for our wedding 12 years ago and it was rarely, if ever used. it has been re-knighted onto my countertops for i have used it twice in the last three days. boo-yah. one pint of the a dairy free coconut ice cream brand will cost you $5+ depending on where you buy it. i have over two pints here babycakies and you bettah believe it cost me less than $5. remember this post about mac and his magnesium levels? well, here's an update: i got a little "lax" with his magnesium supplements for his eye tics. and guess what? chris and i started noticing them a little more and he actually told me the other day that he noticed them more...so, i think there's definitely something here... we ramped back up and they are on the downswing again. 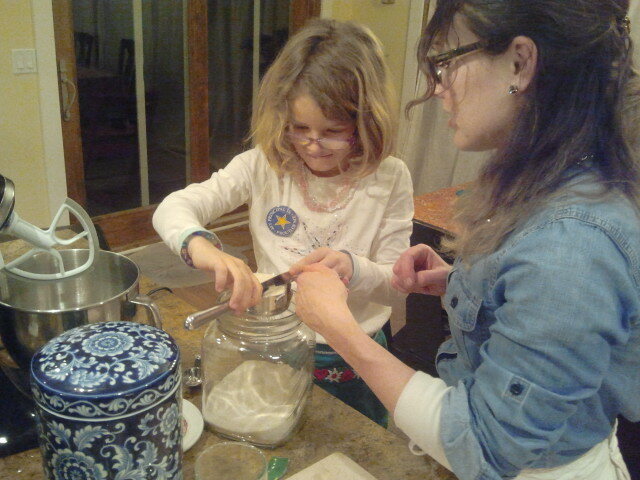 abbie helped me mix in some cal-mag powder in all of the kids' ice cream bowls last night. 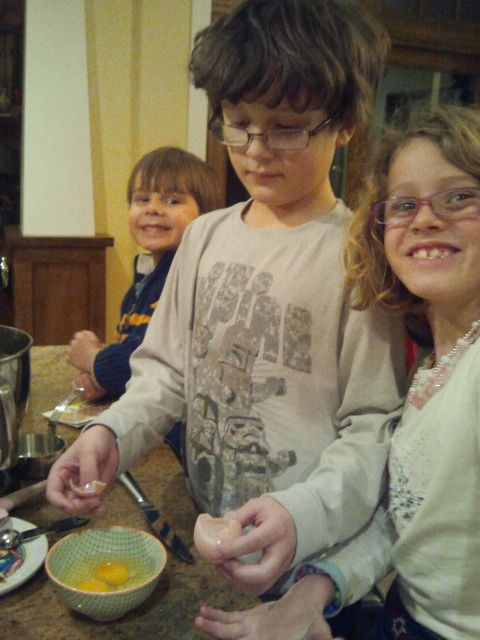 you've already met this italian girl - now meet this boy - our first hot papa cooking in the mullies. so hit play and let's have a cooking date night italian style with lots of love & a reggae beat from kurt to his giambotta christina...and to all of us worldwide - this one goes out to you and yours. 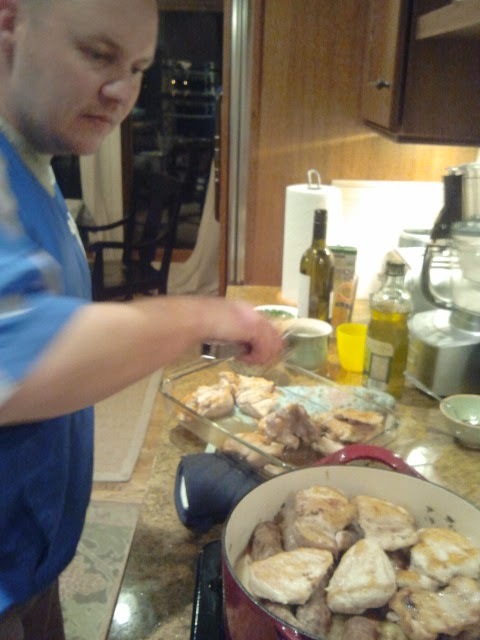 this highly metaphysical man brought his family over to the mullies and made his crazy ahmazing recipe - which we had to write down as we cooked, cuz he just throws it together...you know, like a real chef...yea baby! 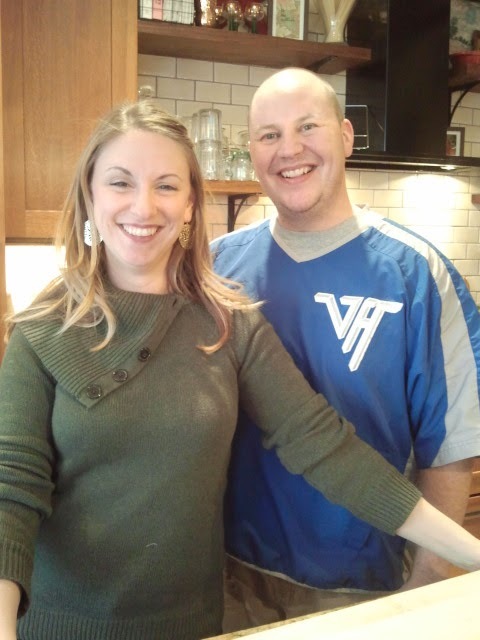 these two are high school teachers and coaches...she is a foods & clothing design teacher, he is a history teacher. it's a match made in heaven and i wanna learn everything i can about cooking from these two hotties. 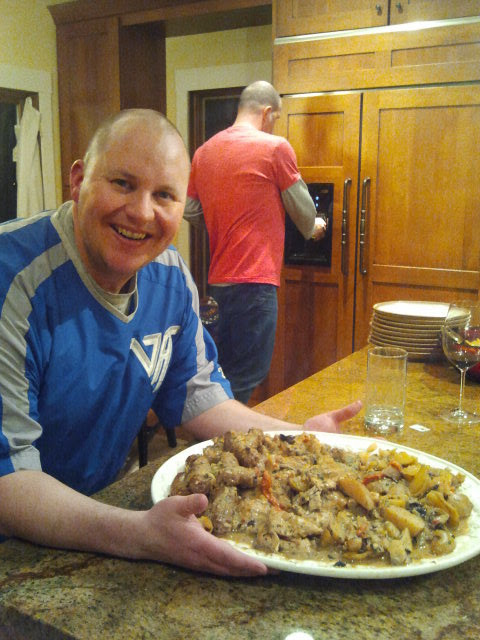 welcome to the most delicious rustic chicken giambotta dish you'll ever make. it is inspired by the dish served at our most loved italian restaurant here in the hood: mambo italiano - this one's for you. we love you and all the real food you bring to our little town. 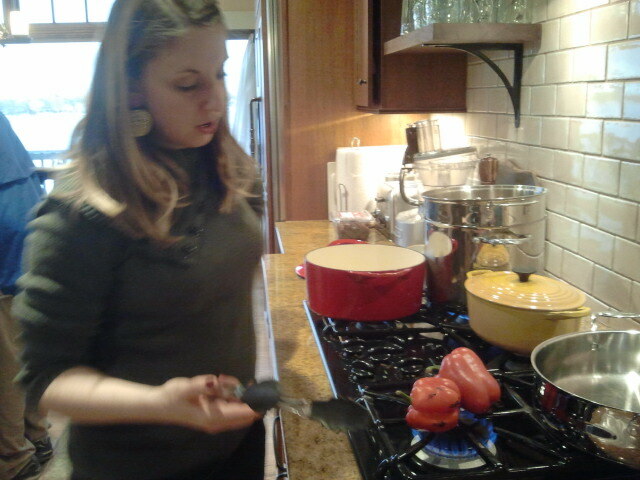 christina's method of roasting red peppers (you can of course use a grill). but sometimes it's nice to have an inside method. quite genius if i may say so myself. 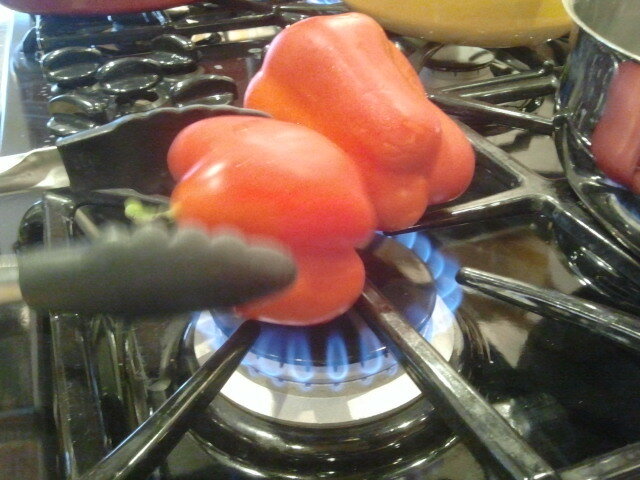 just turn the veggies over an open flame. 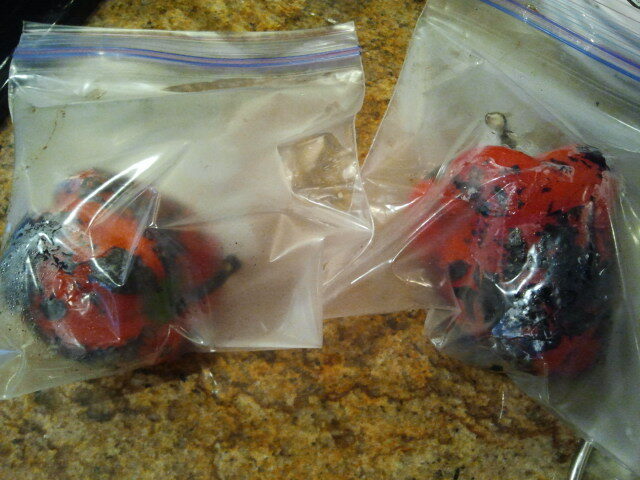 once they are nice and evenly charred, pop em in a plastic bag and let em steam. i said, heeeeeey baby, this is so easy...i love it babygirl! 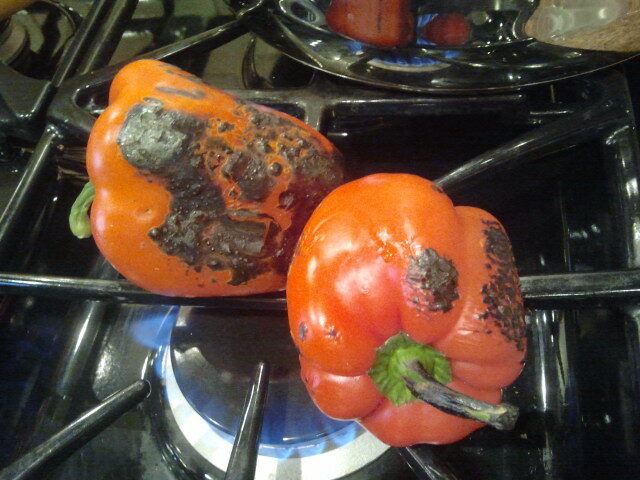 we'll be coming back to these steamin peppers in a bit. 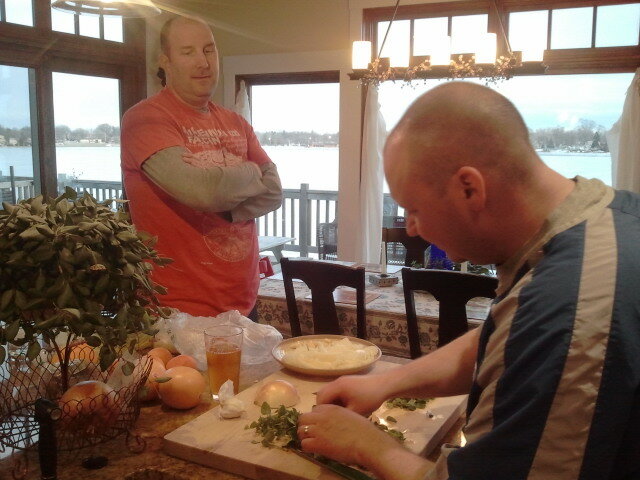 kurt began by chopping up the onion, garlic, fresh parsley and oregano. rock chopping in the dance hall witchuuu. chris is soaking it all in... not quite ready to dance yet. 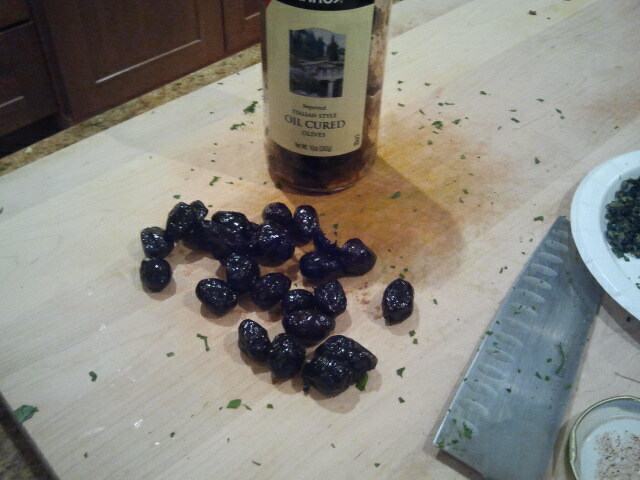 oil cured olives are the only way to go in this dish...do you know how to pit an olive? 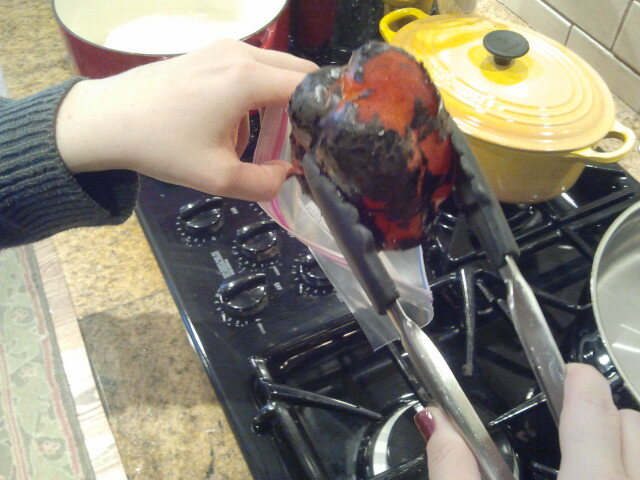 christina just pops it with the side of her knife and out comes the pit. so simple it hurts me. 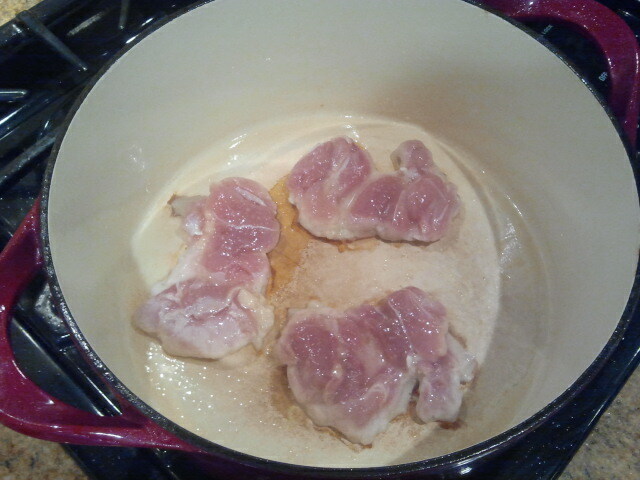 no more crowding the pan for me...the only way to properly brown cuts of meat. 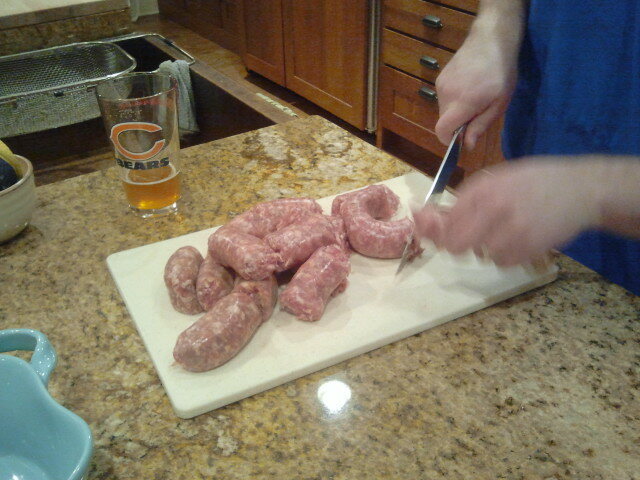 kurt picked up all of the freshly prepared meat...no nitrates or antibiotics in this hizouse! the art of browning: LET THEM SIT. DO NOT TOUCH. 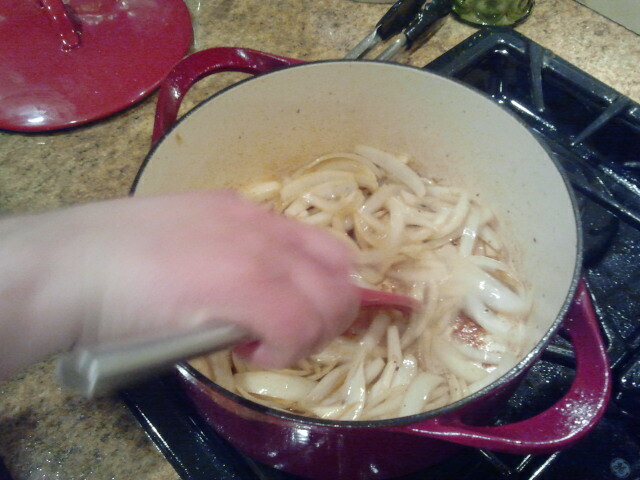 next up to the pan: the sliced onions and garlic...oh yum. 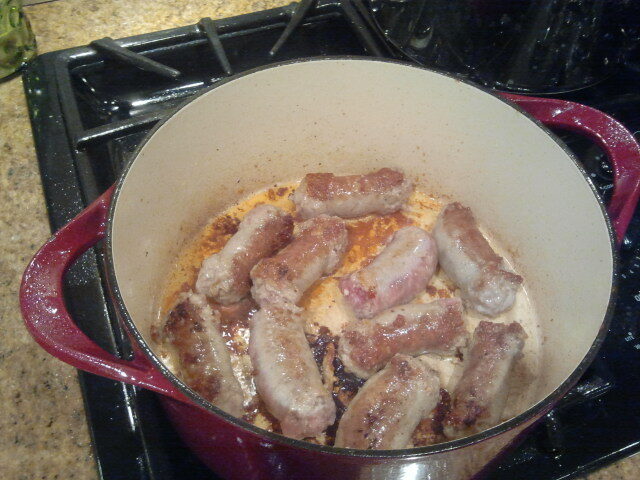 as these cook, the bits of browned meat begins to deglaze from the pan. 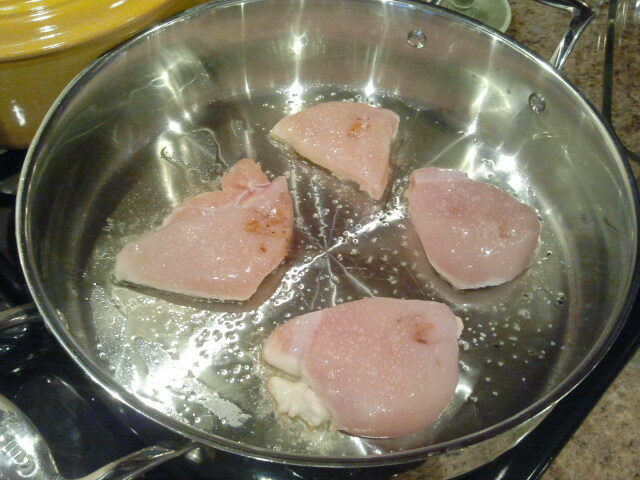 kurt deglazed the second pan with some white wine and chicken stock and added this to the pan first. 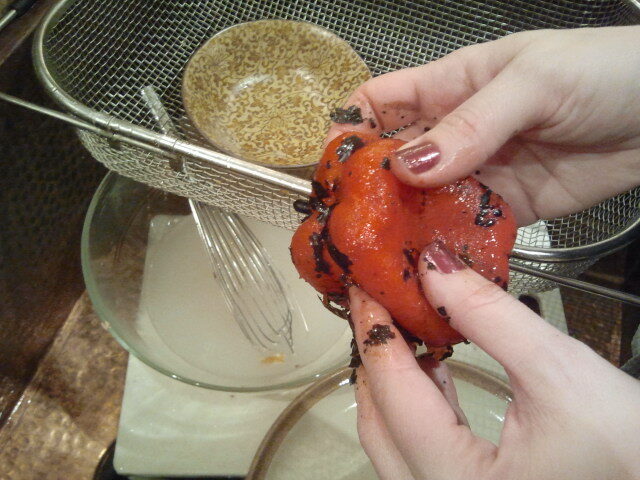 meanwhile...it's time to rub off the charred red pepper skins. ready to be sliced and added to the saucy mix! 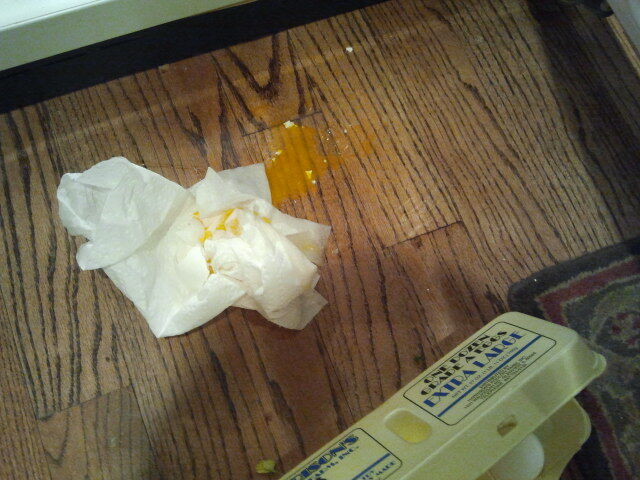 the best luck i had was to have you in my kitchen. 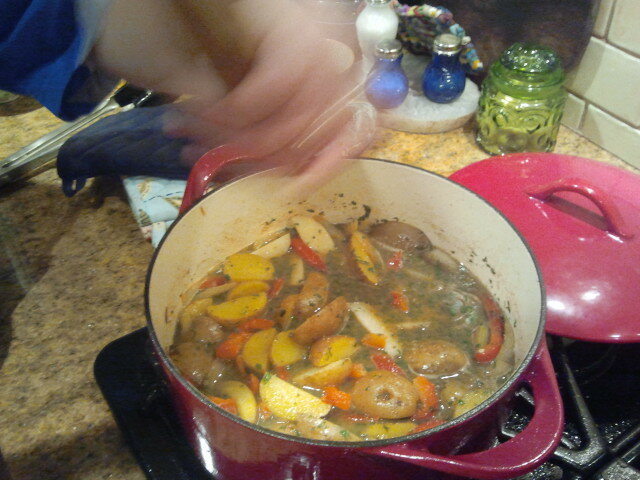 all ingredients are now in the pan...potatoes, peppers and herbs. add in the meat - place it all on top. serve it up - make sure to spoon that gorgeous sauce over the top please. dessert you ask? but of course. 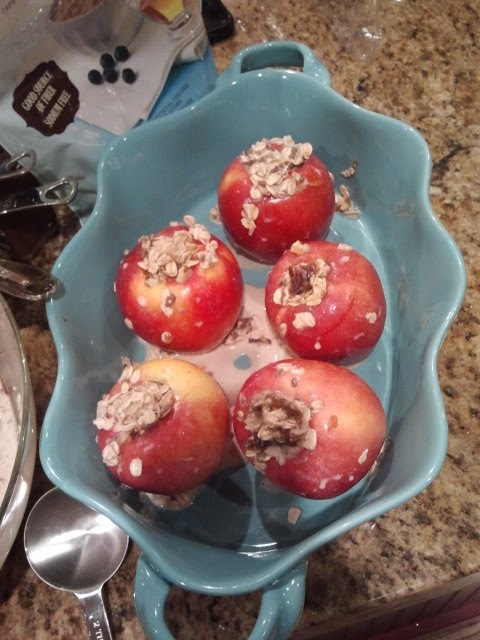 baked apples stuffed with oatmeal. 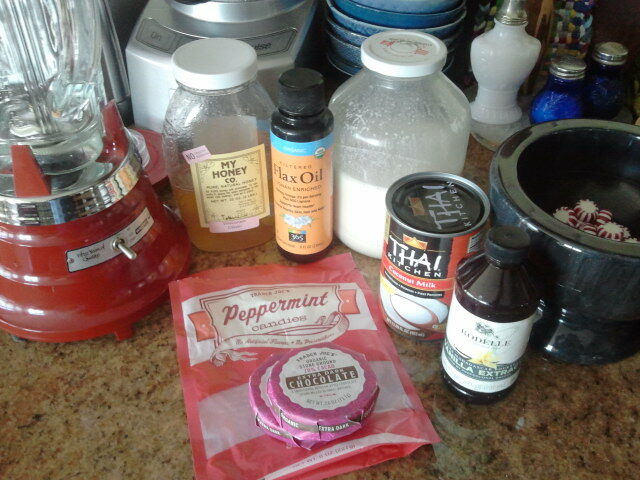 this recipe is rockin. 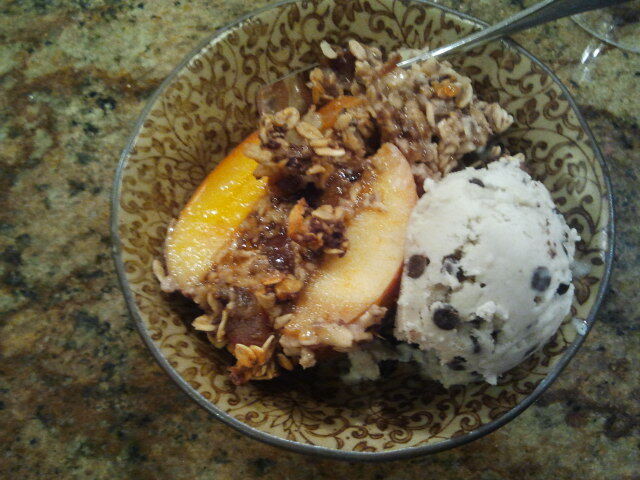 on top: maple syrup drizzle and my homemade chocolate chip coconut ice cream. that face pretty much sums up the night. heaven. 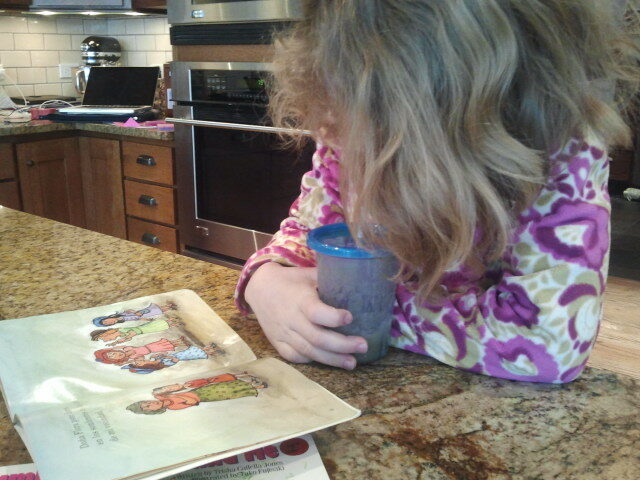 abbie who has never liked oatmeal so far, had two servings. i love you. 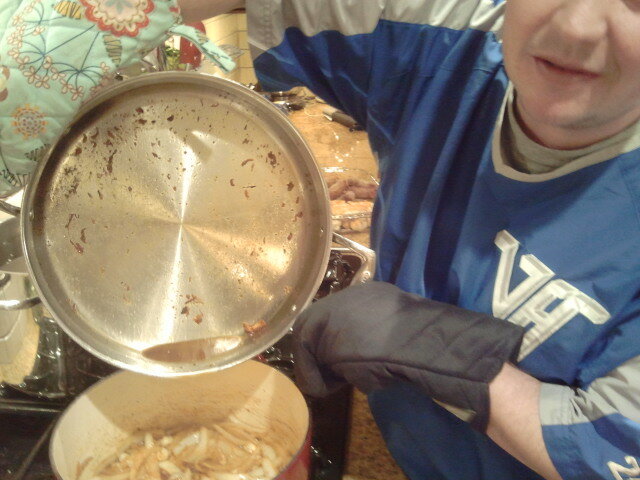 1. fill pot with cold, salted water and add potatoes. 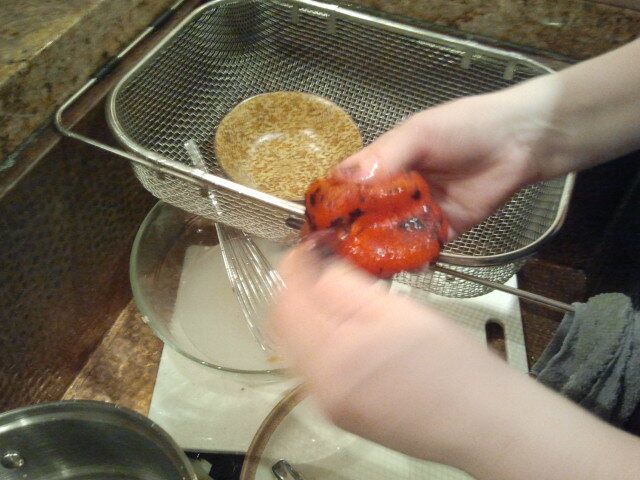 heat until boiling and remove before fully cooked. 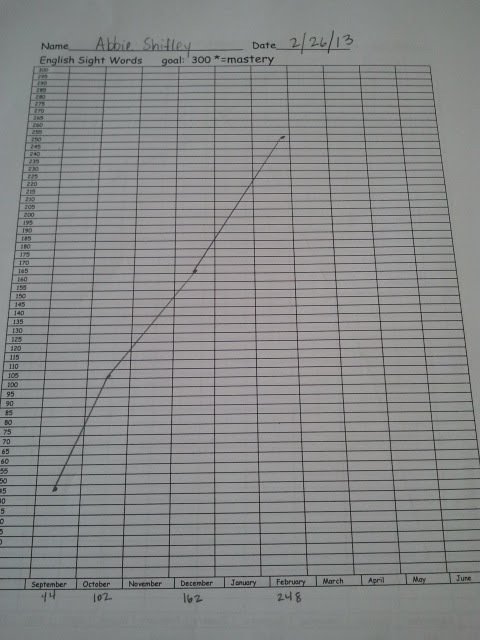 quarter lengthwise and set aside. 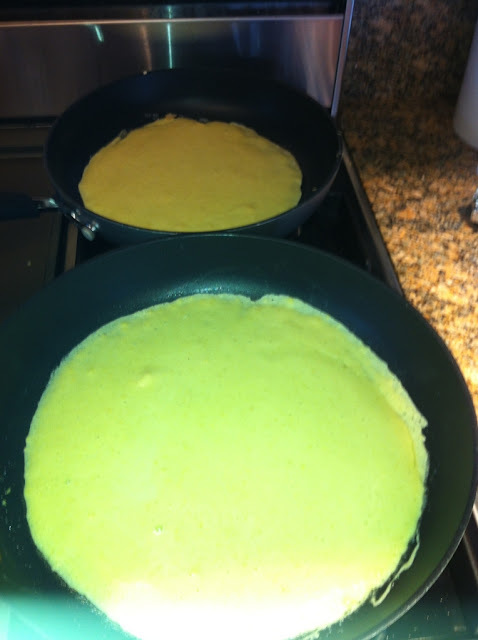 1. heat pan coated with evoo (2-3 T) until medium hot. 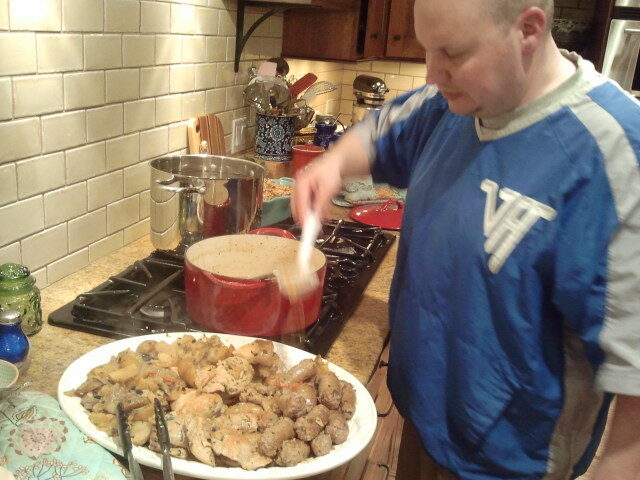 work in batches to cook and brown chicken and sausage. set aside cooked meat. 2. let pan cool down a bit. 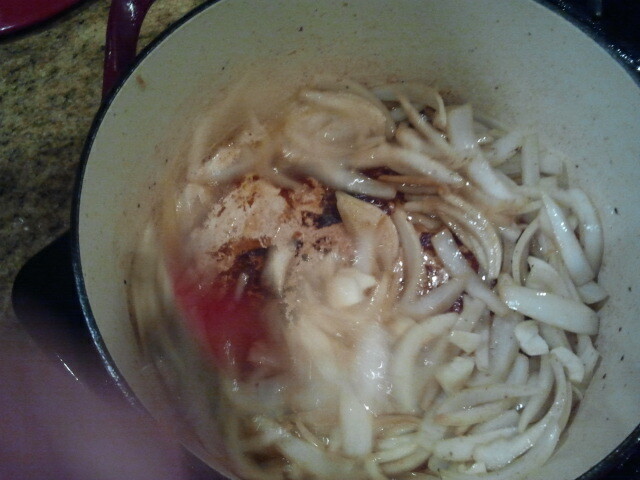 add in some more evoo (1-2T) and cook onions until beginning to soften. 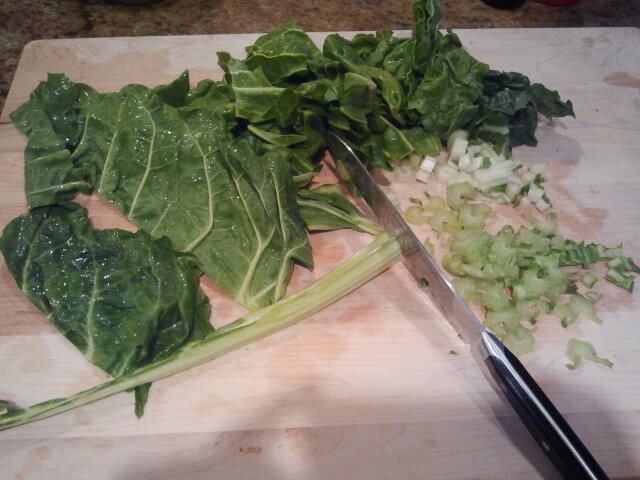 add in garlic. stir on medium low heat until translucent. 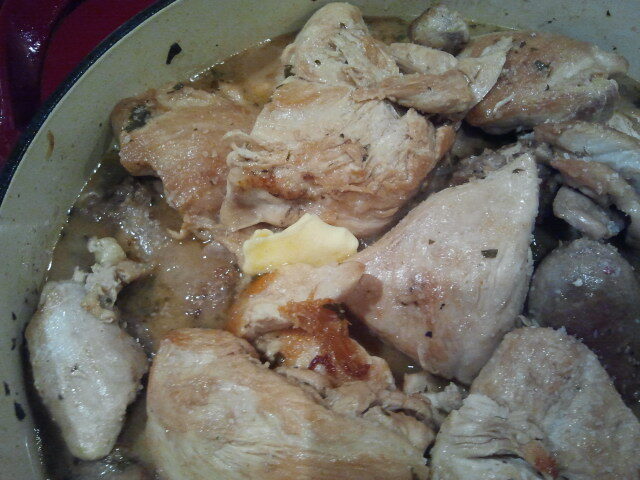 3. pour in wine and chicken stock to onion mixture and deglaze pan. add potatoes, sliced peppers, olives and herbs. season to taste. simmer for about 10-15 minutes. 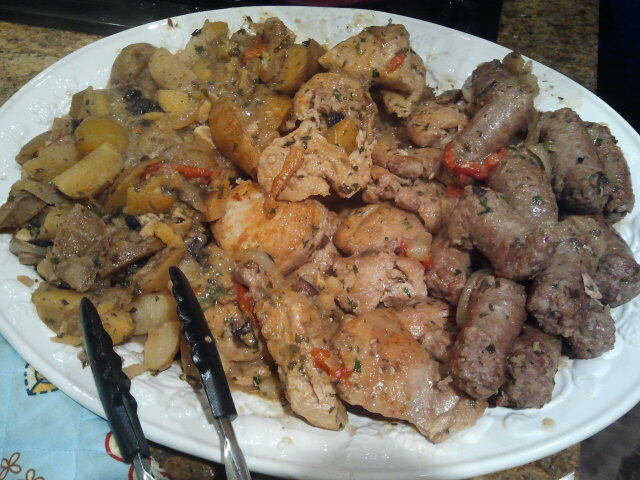 4. arrange chicken and sausage on top. cover and simmer for 30-60 minutes. 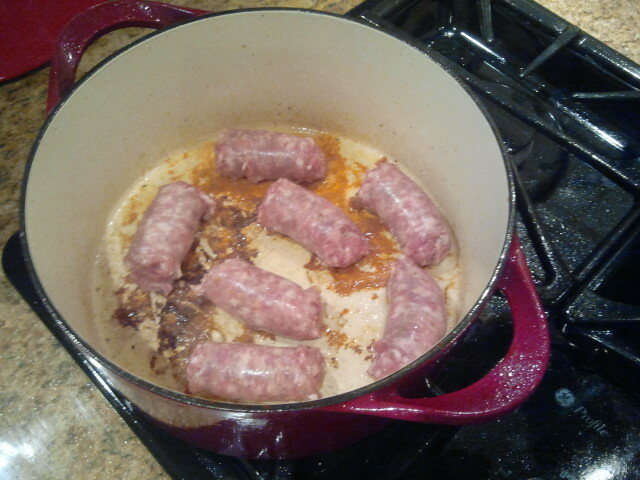 with about 10 min to go, add in a few tabs of butter (this adds some depth and silkiness to the sauce). rockin in the dance hall kitchen movin with you...i said hey mama, hey papa...i loves you. the best luck we had was to meetchou. 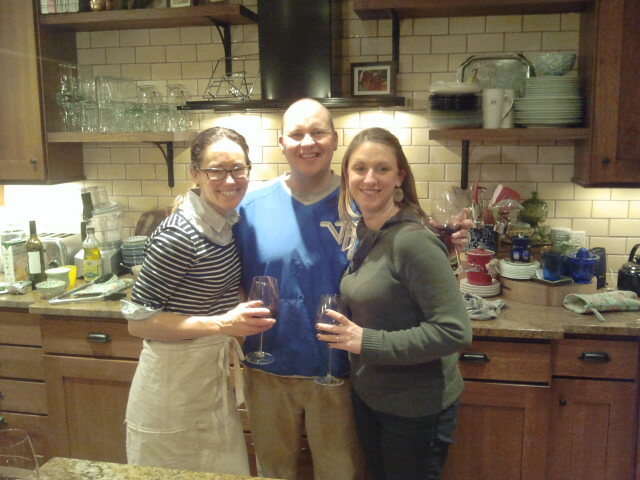 thanks for sharing your cooking love k&c.